If you are looking for new methods of advertising your business or products online, the best solution is sending bulk SMS to your customers. 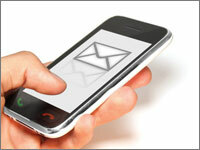 Sending bulk SMS will give a professional outlook for your advertising efforts. SendPK.Com provides various profitable services with their unique messaging system, which can be used from anywhere in Pakistan. SendPK.Com offers wireless applications that will enable the identification and development of a wide range of SMS utilities. You can use this SMS system if you are looking for an easier way to acquire branding and for maintaining dynamic marketing, advertising and communication concepts. The company uses advanced technology to provide efficient services. We offer exclusive packages for huge marketing campaigns. With our SMS tool you can improve your company utilities and performance through SMS. It is an easy way of communicating to your customers whenever you want to. SendPK.Com helps advertisers, while boosting the sales of their clients. With SMS marketing, personalized advertising has gained a huge momentum. Many small scale and medium scale companies are benefitted by the bulk SMS services as they do not have to spend a fortune on advertising. Even large scale companies are taking to bulk SMS to effectively promote their products. Internet SMS services are also popular because of their affordability, reach, instant delivery and measurable results. We provide All-Pakistan coverage for all networks including Mobilink , Zong , Warid , Ufone , Telenor And SCO .